Agenda items include a public meeting on the proposed amendments that would include a state wetland definition and procedures for discharges of dredged or fill material to waters of the state, an update on urban … Continue reading "State Water Resources Control Board"
The California State Board of Food and Agriculture will hear updates on key issues impacting farmers and ranchers related to Virulent Newcastle Disease (VND) and water policy at its upcoming meeting on April 2, 2019. … Continue reading "State Board of Agriculture: Newcastle disease, Water Policy"
Dr. McCord served as Project Manager and lead hydrologist for several New Mexico Interstate Stream Commission (ISC) studies related to water management issues on the lower Pecos River, related to re-operations of Pecos River projects … Continue reading "GRA: Central Coast Branch: Two Case Studies of Sustainable Water Management at the Basin Scale"
The San Joaquin Valley is in a time of great change and growing water stress. New cooperative approaches are needed to bring groundwater basins into balance, provide safe drinking water, and manage water and land … Continue reading "Water and the Future of the San Joaquin Valley"
Annual Anne J. Schneider Lecture: Parting The Waters – Will It Take A Miracle? The Steering Committee for the Anne J. Schneider Lecture Series cordially invites you to attend this year’s lecture presentation in support of our efforts to encourage professional and personal commitment to water law and policy … Continue reading "Annual Anne J. Schneider Lecture: Parting The Waters – Will It Take A Miracle?" Dancing with Models – The Importance of Model Partner Software” will explore how models can best serve the decision-making process. In doing so, it demonstrates the indispensable role that model-value-adding software should play in this … Continue reading "GRA South Coast Branch: “Dancing with Models – The Importance of Model Partner Software”"
The USGS has released MODFLOW-OWHM version 2, now called “One-Water.” The first release of One-Water was selected by the World Bank Water Resource Software Review as one of three recommended simulation programs for surface-water/groundwater conjunctive-use … Continue reading "GRA: San Diego Branch: Conjunctive-Use Analysis with the New Integrated Hydrologic Model, “One-Water”"
Now in its 28th year, the California Water Policy Conference is the premier event in the State that brings together leaders from the agricultural, urban water and environmental communities to discuss the current policy issues … Continue reading "California Water Policy Conference"
Creating solutions for today’s environmental, energy, and natural resource management issues often rests on effective negotiation. While you or your staff may have had some exposure to negotiation, CONCUR’s training will take your experience to … Continue reading "Negotiating Effective Environmental Agreements"
California water rights holders are required by state law to measure and report the water they divert from surface streams. For people who wish to take the water measurements themselves, the University of California Cooperative … Continue reading "SB-88 Water Measurement and Reporting Course (Redding)"
California water rights holders are required by state law to measure and report the water they divert from surface streams. For people who wish to take the water measurements themselves, the University of California Cooperative … Continue reading "SB-88 Water Measurement and Reporting Course (Woodland)"
Yolo Basin Foundation’s Flyway Nights speaker series will explore one of the Delta’s invasive mammals, the Nutria. Martha Volkoff will discuss “Nutria in California: Current Status and Response” on Thursday, April 4, at 7 p.m. … Continue reading "Yolo Flyway Nights: “Nutria in California: Current Status and Response”"
Please register for this event at https://www.eventbrite.com/e/overview-of -treatment-technologies-for-per-and-polyfluoroalkyl-substances- tickets-59342836020 Webcast: Event will be live webcast during the event: https://video.calepa.ca.gov/ Note: Please arrive at least 20 minutes prior to the event to register as a visitor … Continue reading "Overview of In Situ and Ex Situ Technologies in Development for the Treatment of Per- and Polyfluoroalkyl Substances”"
Agenda items include opportunities for strengthening and supporting the Delta science enterprise; progress toward protecting, restoring, and enhancing the Delta ecosystem; and interagency efforts to eradicate nutria. For more information, click here. “We’re living through a very interesting moment in the history of California water,” said 210 guest moderator Jessi Snyder. “Difficulties long endured by Valley communities and families are now being recognized and responded to, while … Continue reading "Visalia: 210 Connect: Drought, SGMA, contaminated water, and what the locals are doing about it all"
The ecological systems of our beautiful state of California are under almost constant siege from one or more of the impacts from the past (historical land use practices and extensive development), the present (prolonged droughts, … Continue reading "SERCAL Conference: Beyond Recovery: Restoration for the Future"
Speaker: Dan Cayan, Scripps Institution of Oceanography, University of California, San Diego Climate models suggest that as climate warms over future decades, California’s precipitation regime will become even more volatile, wherein the region takes on … Continue reading "WEBINAR: Preparing for a Climate with More Extremes – Results from California’s Fourth Climate Change Assessment"
The California Department of Water Resources (DWR) is planning to prepare a Draft Environmental Impact Report (DEIR) for the Lookout Slough Tidal Habitat Restoration and Flood Improvement Project in accordance with the California Environmental Quality … Continue reading "Lookout Slough Tidal Habitat Restoration and Flood Improvement Project Public Scoping Meeting"
The California Financing Coordinating Committee (CFCC) is pleased to invite you to attend any of the six upcoming 2019 CFCC Funding Fairs. The funding fairs provide opportunities to learn more about available grant, loan and … Continue reading "California Financing Coordinating Committee Funding Fair"
Agenda items include stormwater capture and recharge, the 2018 State Water Project Review, and the Feather River Fish Hatchery. For agenda and webcast link, click here. The Disconnect Between Groundwater Legal Systems and Groundwater Hydrology: What Changes Should Be Made to Groundwater Law to Better Reflect the Physical Environment? David Sandino, ESQ. Past Chief Counsel for the California Department of Water … Continue reading "GRA Sac Valley Branch: The Disconnect Between Groundwater Legal Systems and Groundwater Hydrology"
Misunderstandings and misrepresentations about water complicate our efforts to manage it. What will it take to convince stakeholders to abandon their cherished myths? KEYNOTE SPEAKER: Ellen Hanak, Center Director and Senior Fellow—Public Policy Institute of … Continue reading "27th Water Symposium: Moving Beyond Myths"
The Story of California’s Changing Ecosystems:As observed from space by Kristin Byrd, USGS Researched Physical Scientist How can we use images from space to help us understand changes to our coasts, rangelands, forests and wildlife … Continue reading "The Story of California’s Changing Ecosystems: As observed from space"
Join academic researchers, local governments, state agencies, non-governmental organizations, and advocates for a workshop to discuss access to sanitation for people experiencing homelessness. Attend in person or webcast at: https://video.calepa.ca.gov/. 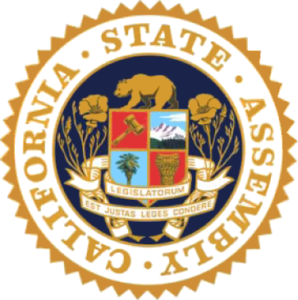 Access the agenda through the … Continue reading "STATE WATER BOARD WORKSHOP: Access to Sanitation for People Experiencing Homelessness"
California’s wastewater sector helps protect public health and the environment. It is also the source of recycled water—a growing water supply. But climate change is bringing water scarcity and other pressures to the sector. PPIC … Continue reading "Managing Wastewater in a Changing Climate"
The 37th Annual Conference will be held in Santa Rosa, California from Tuesday April 23 to Friday April 26, 2019. The Conference will be held mostly at the Finley Community Center at 2060 West College Avenue, Santa Rosa, California … Continue reading "37th Annual Salmonid Restoration Conference"
The committee will discuss a variety of water-related bills, including a “safe and reliable drinking water fund,” appropriations of water, and wildfire prevention grants. For more information, click here. Wildfires dramatically alter watershed hydrologic, hydraulic, and sediment response. Accurate numeric models are essential to establish a prioritized risk mitigation plan. Rapid assessment of infrastructure is critical to development of actionable emergency response and planning … Continue reading "WEBINAR: Watershed University: Wildfire Impacts to Infrastructure"
The Southern California Water Dialogue will meet on April 24. 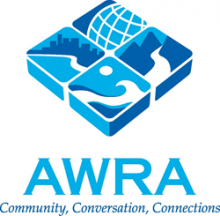 The Water Dialogue plans to hold its regular monthly meetings (on the fourth Wednesday of the month) throughout 2019. Please RSVP to JoAnn Carrillo @ jcarrillo@mwdh2o.com. … Continue reading "SoCal Water Dialogue: The Story Behind Increasing Wildfire Damages in California"
California has emerged from a multi-year drought, but water quantity and quality issues continue to be a priority for state policy and decision makers. Several bills have been introduced in the current legislative session that … Continue reading "Safe and Reliable? 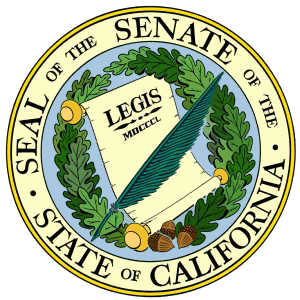 The Future of California Water"
Agenda items include a workshop to review preliminary draft Delta Plan ecosystem amendment policies and recommendations and approval of 15 studies selected from the Delta Science Program’s 2018/2019 joint proposal solicitation. Click here for more … Continue reading "Delta Stewardship Council"
Prioritizing a secure water future for Southern California means supporting what we call an “all-of-the-above” approach for a balanced water portfolio that includes regional and local supply projects. Our all-star panel breaks down the latest … Continue reading "Southern California Water Coalition Quarterly Luncheon"
The committee will discuss Assembly Constitutional Amendment No. 3, the Clean Water for All Act. For more information, click here. The purpose of the third County Drought Advisory Group (CDAG) meeting is to: Share progress of the Technical Workgroup and Water Shortage Contingency Plan Workgroup. Each meet twice in April. Hear drought management/experience successes and challenges … Continue reading "County Drought Advisory Group Meeting"